"I am not perfect, but I can taste perfection through creation." I create because it is an outlet for emotions and ideas that I cannot express in any other way. My work is nowhere near perfect, but I can see glimpses of perfection through intentional creation. I am pulling from my own experience and exposure to the world to present my interpretation for my created works. I enjoy taking ideas and using them to create, stretching my own artistic limits, and watching people positively react to what I make. I am highly influenced by animated movies and cartoons as well as graphic novels. I enjoy any kind of creation that takes me to a new world, so that is why I enjoy series such as Avatar the Last Airbender, Star Wars, DC Comics, and the Marvel universe so much. These worlds in particular stand out to me because I am a visual learner and they activate that part of my brain. The creativity that rests in these worlds acts as an infinite pool of possibilities. Perhaps one day I may be able to create my own world that inspires others with their own ideation possibilities. 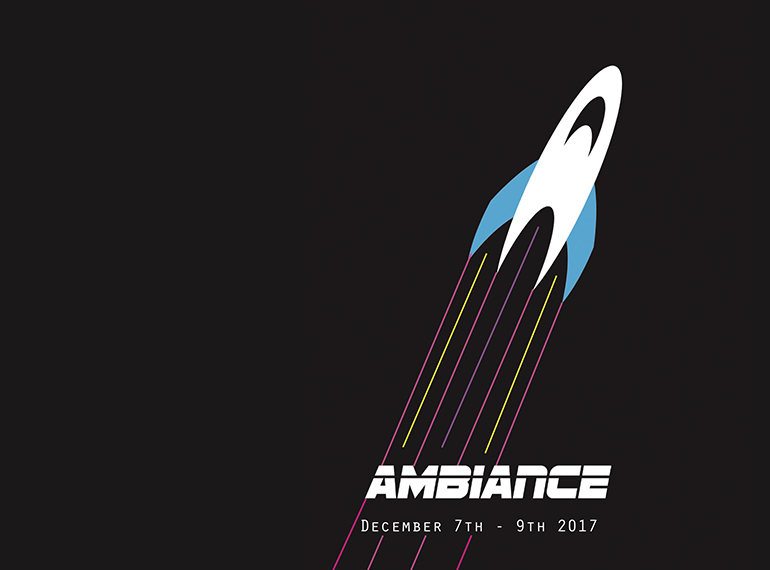 Ambiance is a conference for exhibit designers and people who are interested in working with a 3-dimensional space. The conference is focused on innovation and immersion as key tools to inspiring creatives to dream up new ways to use space that engages current generations and modern technologies. 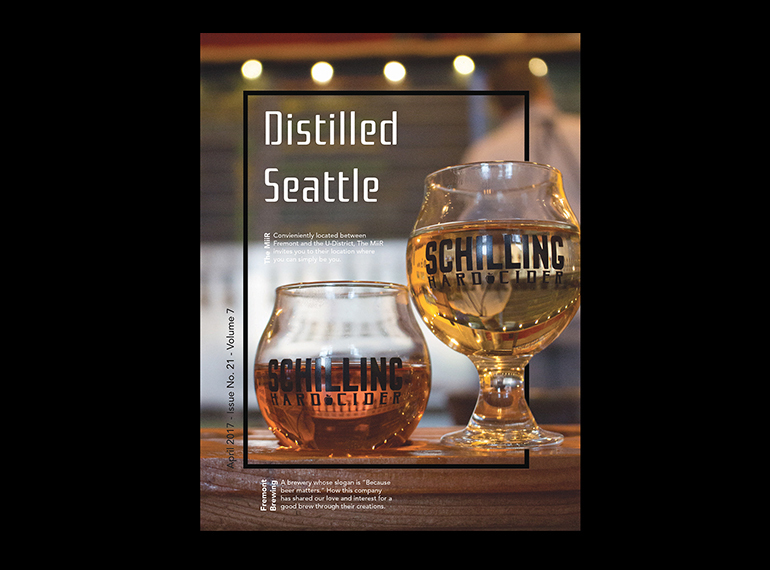 Distilled Seattle is a magazine with all original content. Every image, article, and layout design is curated by myself as the designer to appeal to locals in Seattle who are looking to discover all of the drinking opportunities the city has to offer. Featured in this magazine issue is Fremont Brewing and the MiiR Flagship. Infinitea was created as an innovative and new way to look at tea package design. Tea is the second most consumed beverage in the world, but most of the time it comes in a plain box. 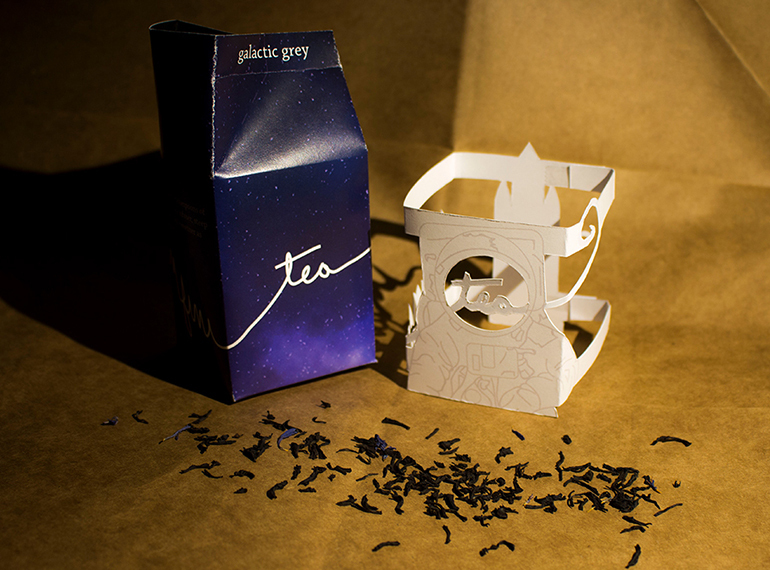 Infinitea loose-leaf tea comes in a milk carton with space themed flavors and aesthetic packaging.